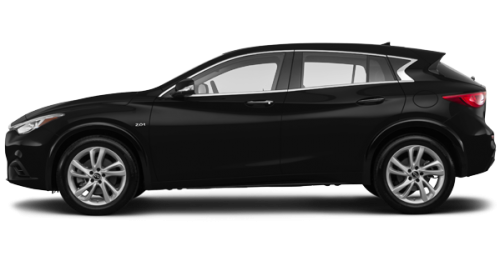 Finance from as low as $128 + taxes / week at 5.99%. Term of 84 months. 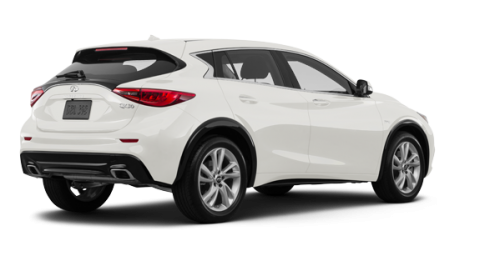 Looking for a small SUV which is also offering performance, luxury and amenities? The 2018 Infiniti X30, for sale in Montreal, is the vehicle you need. 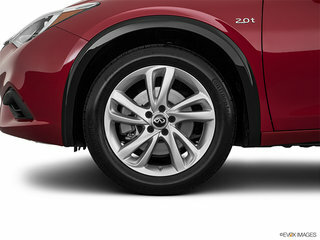 Book your test today at Spinelli Infiniti in Pointe-Claire near Brossard and the South Shore! 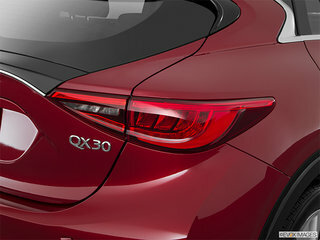 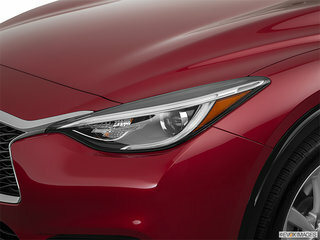 Having won the sub-compact SUV title of the year in 2017, the new QX30, near Laval, continues to impress us with its slender and bold design, its rear uprights shaped like a crescent as well as with its LED headlights inspired by the human eye. 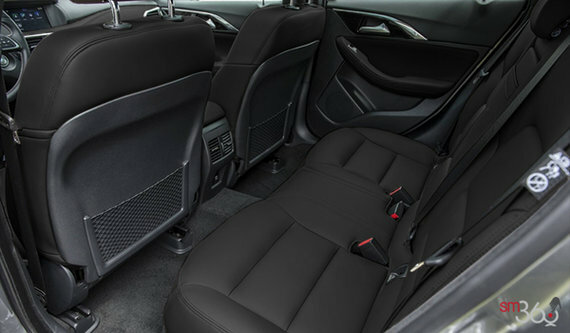 One thing is certain: you will not go unnoticed on the road! The 2018 Infiniti QX30, for sale in Montreal, is equipped with a powerful 4-cylinder 2.0-litre turbo with 208 horsepower and 28 lb-ft of torque, paired with a powerful 7-speed automatic double-shift clutch. You'll also benefit from an intelligent 4-wheel drive system, which adapts to road conditions and distributes power according to road conditions. 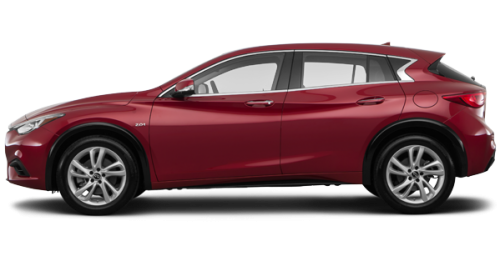 If optimal grip is needed, it can then send up to 50% of the power to the rear wheels, to ensure maximum driving safety at the steering wheel. Once aboard the new QX30, near Laval, you'll appreciate the sleek interior of Nappa leather and Dinamica, a driver-focused dashboard and cargo space of up to 963 litres. 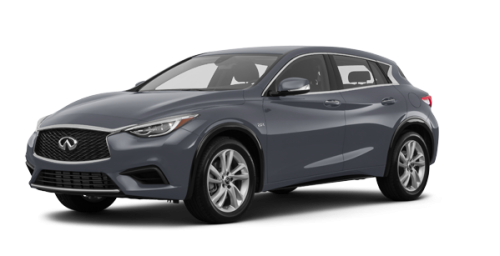 Other amenities that may be available depending on the options chosen include a 10-speaker Bose audio system, 8-way power front seats, heated seats, an Infiniti InTouch navigation system, a button start push-button and much more. Security is also fully available in the 2018 Infiniti QX30, for sale in Montreal! 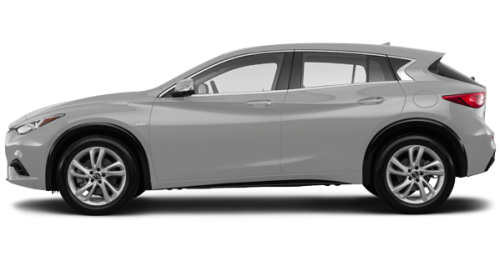 You could take advantage of the rear cross-traffic alert, a perimeter visualization screen, a rear-view camera, an intelligent parking assistance system, emergency braking and parking, lane departure warning, to name just a few. 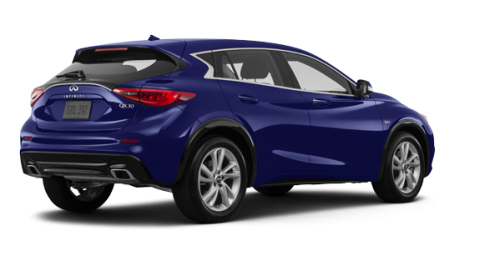 Want to know more about the 2018 Infiniti QX30 or test drive it? Visit your Infiniti dealer in Pointe-Claire near Brossard and the South Shore now! 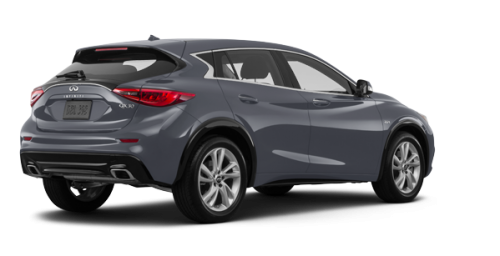 On the spot, you will also benefit from Infiniti promotions and advantageous financing rates on all our models, be it a new QX30, an Infiniti demo or a second-hand QX30. 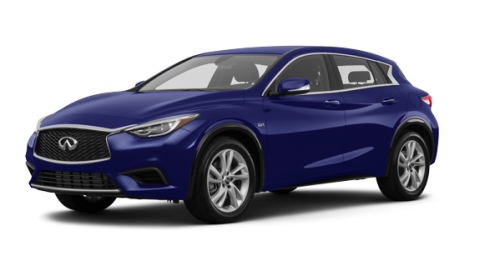 Do not delay - your next car is waiting for you!